We are a kennels and cattery located just outside the town of Hatherleigh, near Okehampton. We cater for dogs of all sizes and also have our own cattery. Our premises is set in 6 acres of land which also backs on to the River Lew. Within our grounds we have 3 exercise paddocks. 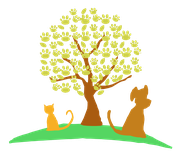 Our cattery is set in a tranquil part of the property and there is a choice of boarding in either our outside kennels or within our cosy barn. We are currently carrying out a programme of refurbishment for some of our dog kennel blocks. The work started in November 2018 and is likely to be in progress until Easter 2020. Please book early due to limited kennels being available during our refurbishment.